Visit IronHubWines.com for the latest wine releases, news, events, and more! Located in the picturesque foothills east of Sacramento, Amador Foothill Winery produces two classic vineyard-designated Zinfandels and is among the pioneers of Sangiovese and Aglianico in California. Our view is one of the prettiest in Amador County. The tasting room is open from 11am to 5pm on Friday, Saturday, Sunday, and Monday. 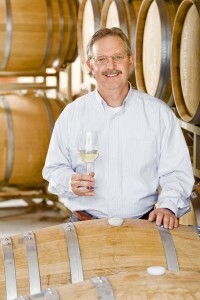 Winemaker Tom Jones and his wife Beth have recently purchased Amador Foothill Winery. They bring a wealth of wine making experience and enthusiasm to the beautiful winery location that was owned by Ben Zeitman and Katie Quinn for so many years. Please join our email list to be informed of our progress!